John Howe Mebane's original will is at the Fayette County, TN courthouse. Handwritten and printed copies are available here. All of the discussion has thus far been about the white people who settled West Tennessee, but they could not have set up and operated this farm on their own. 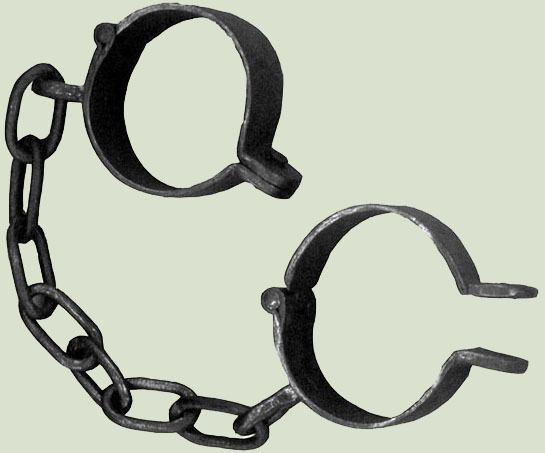 It is hard to imagine engaging in a slave trade, but many Africans, Europeans, and Americans built their fortunes on the backs of others. The Old South cannot be glorified when at its very soul there was such treatment of its people. It would be convenient to say that slaves built this house, but that was far from the complete truth. It was probably designed by a formally-educated architect. The "Big Houses" were largely constructed by skilled workers who specialized very much like we do now. But it cannot be denied that slaves would have done much of the manual labor. They would have been involved in the making and hauling of the bricks and heavy timbers, and other jobs considered to be menial. And the slaves would have done almost all of the brutal work of clearing the land, planting, and harvesting. The death record for Robert B. Mebane is posted on the website for the Shelby Co., TN, Register's office: actual record (file #482). Robert B. Mebane died 7-18-1931 in Shelby County, Tennessee, age 71, b. TN; informant for the record was his son Emmett. His wife's name was Victoria. 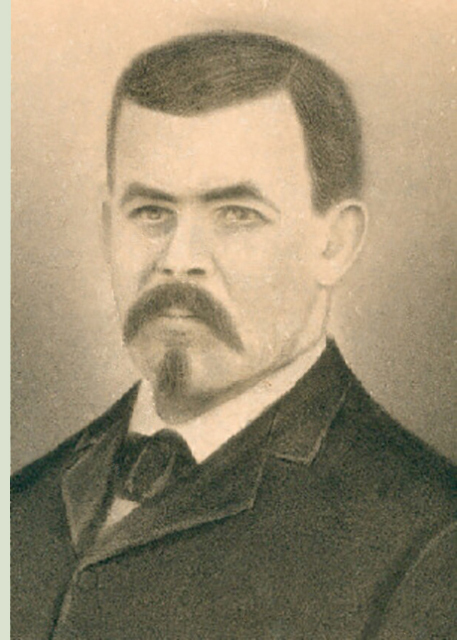 Robert's race/color was given as "C." Parents named on the death record: "Flora Mebane" (b. NC) and "John Howard" (b. NC)--of course this would be John Howe Mebane. In various census years, Robert B. Mebane and his family were listed as mulatto, black, and white. Flora Mebane and her son Robert were mulatto in the 1870 census, Fayette County, Tennessee; in 1880, Robert--mulatto. (Robert married "Vick Mebane" in Fayette County, Tennessee 27 Feb. 1881.) In Shelby Co., 1900, Robbert and Victoriah Maban & 5 children--black; 1910, family not found; Shelby Co. 1920, Robert, Victoria, Emmit and Junious--mulatto; Shelby Co. 1930, Rob B. Mebane and Victoria--both white. Living next door to his parents in 1930, Emmit Mebane and his wife Eva--both white. On the 1900 census, Shelby Co.--Robbert Maban, b. Oct. 1858 TN; wife Victoriah b. Mar. 1861 TN; children--Fred b. Jan 1882; Flora B. b. Nov. 1883; Minnie M. b. June 1893; Emit b. May 1895; and Elton J. [Junious] b. Jan. 1898. Robbert & Victoriah said both their parents were b. in NC." Fortunately, the Mebane family kept the original list of slaves still here at the end of the Civil War. This was required of all slaveholders, but many of these rosters have disappeared either from lack of interest or concern for retaliation. Hopefully, this list will be useful for many ancestry searches in the future. We do not know how many slaves they owned at the peak, but 110 were recorded here. It is interesting that neither Flora nor her son Robert Bernard Mebane is on this list. To see higher-resolution versions of each page of the slave roster, click on the links below. These are large files. Please note they may take awhile to load. The images are 600 dpi jpeg files, suitable for printing. Once the pages are loaded, the images can be simply dragged to the desktop or copied using the "Save As" command. If someone is seriously interested, I have much larger, 1200 dpi images. You will need to email me for instructions on how to retrieve them. The location of the slave cemetery had been forgotten as people died off or drifted away. While searching USGS maps, I found an annotation for a cemetery a few hundred yards to the east of our property, on the other side of a modern pipeline easement. My son Joey and I plugged the coordinates into my GPS, and we headed into the woods. We stumbled around in a tangled, thorny thicket until we realized we were standing in the middle of the cemetery. It was sitting on a small hill, with the graves typically oriented in an east-west fashion. Most were sunken and unmarked, but there were some pleasant surprises. Mark and Adeline Mebane were on the 1865 slave roster. Adeline's first and last names are misspelled on her tombstone. The person preparing the marker may have been illiterate. 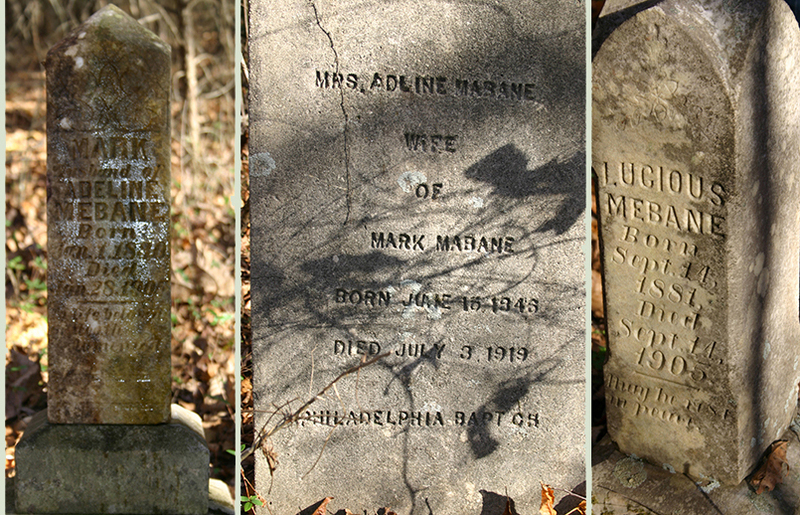 In this small plot, there are three different versions of the last name: Mebane, Mabane, and Mabone. Over the years, I have encountered patients in my practice with all three spellings. Drs. James and Patricia Newby are friends from Georgia. James is a descendant of Mose Mebane and his wife Dee. His ancestors' graves are down the road at the Philadelphia M.B. Church on Jenkins Road. The Newbys had been on an extensive genealogy search, and finally tracked down his great grandfather. He was thrilled when I showed him Mose's name on the 1865 roster of freed slaves, and we gave them a digital copy of the list. The ages for Mose on the roster and gravestone made it clear that this was the same person. I took James and Pat to the old cemetery out in the woods and showed them other relatives' graves. Realizing the significance of these discoveries, I printed a high-resolution copy of the roster and presented it to the Philadelphia church. Several parishoners were happy to find their ancestors. 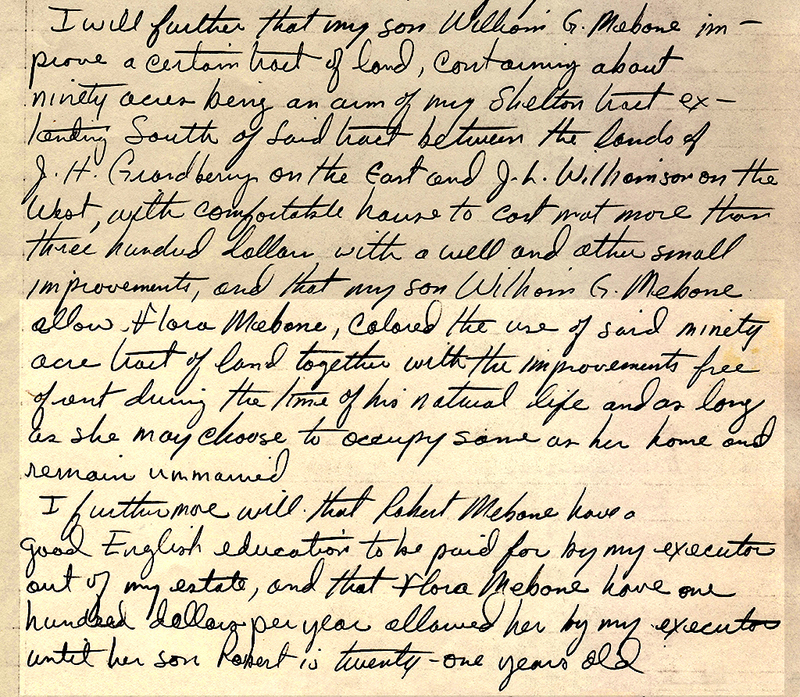 Very few antebellum slave rosters exist, and we are grateful that the Mebane family has kept these important documents. Drs. 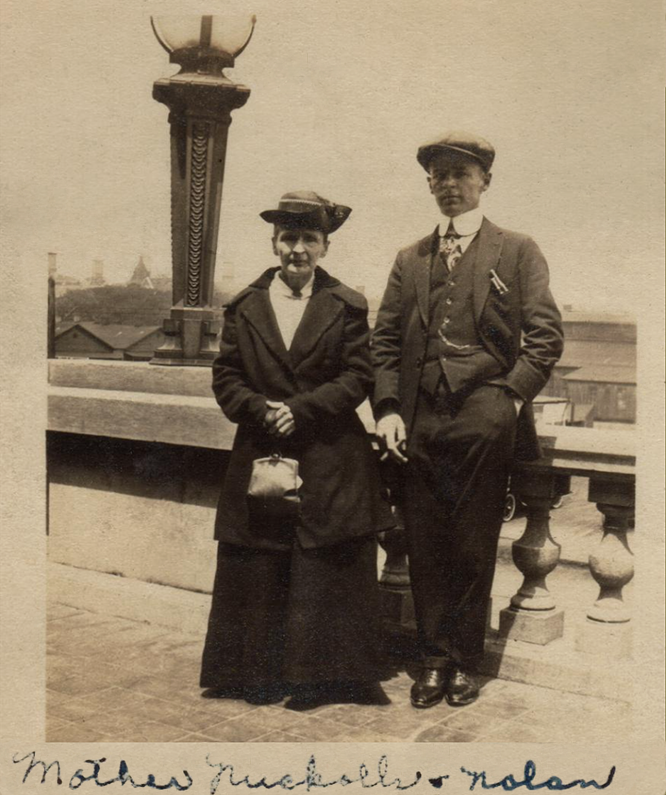 James and Patricia Newby organized a reunion of descendants of Mose and Dee at a hotel in Memphis. Over 300 people attended. James and Pat paid for the whole thing, and continue to be a major force in keeping the family together. Children and grandchildren. James is a great grandson. What an absurd name! Some still think it was justice for prior sins, but there was very little rebuilding for most folks. Instead, this was largely a period of opportunism at the expense of people in utter despair. John, Henrietta, William, and Emma did their best to hold onto their home during the postwar years. But John was growing old and William was in chronically poor health. Their plantation was predicated on a large labor force that evaporated, and they never recovered. "With no slaves to work the fields and do the necessary work, Grandpa Howe either saw an advertisement or heard what he thought might be an answer to his problems-import TN mountaineers. So he made arrangements to have a train carload of them come to his place. They would do the work of the slaves, one or two of the women would work in the house as the cook and housemaid. According to my grandmother his idea was a total disaster. They didn't know how to work and they didn't want to learn. They mostly drifted away in a short time." Henny died in 1872, John followed in 1875, and William passed away in 1882. After William's death, Emma was vulnerable, and lost her home in a disastrous lawsuit brought by cousins. Emma's fate was that of so many in the postwar South. In most cases, there was no Frank Kennedy to bail Scarlett out. The entire estate was sold off, and she was forced to move back to North Carolina with her three children. Thirty years after John brought his family here, the Mebanes were gone. Nathan Blain was a wealthy man who already owned a large amount of land in Fayette County. He had four daughters, and bought plantations for each of them as wedding gifts. Margaret Virginia Blain was one of these daughters, and she married Charles Edwin Nuckolls, a school teacher from Whiteville, Tennessee, in December 1880. When the Mebane property became available, Mr. Blain purchased it for Maggie. Click here to read a love letter from Mr. Nuckolls to Maggie prior to their marriage. 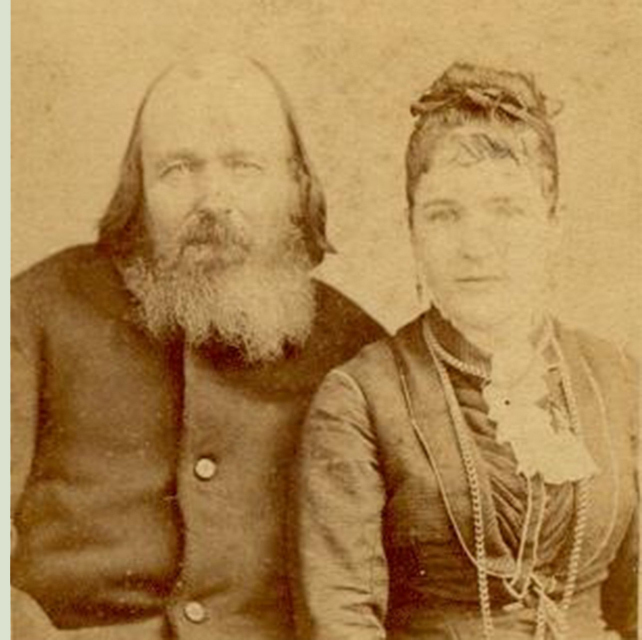 "On July 3, 1880, from his parents' home near Whiteville, TN in Hardeman County, Charles Edwin Nuckolls, wrote a most eloquent love letter to his bride to be Margaret (Maggie) Virginia Blain of Fayette County. The two were married at the Blain's home in Fayette County on the ninth of December that same year. 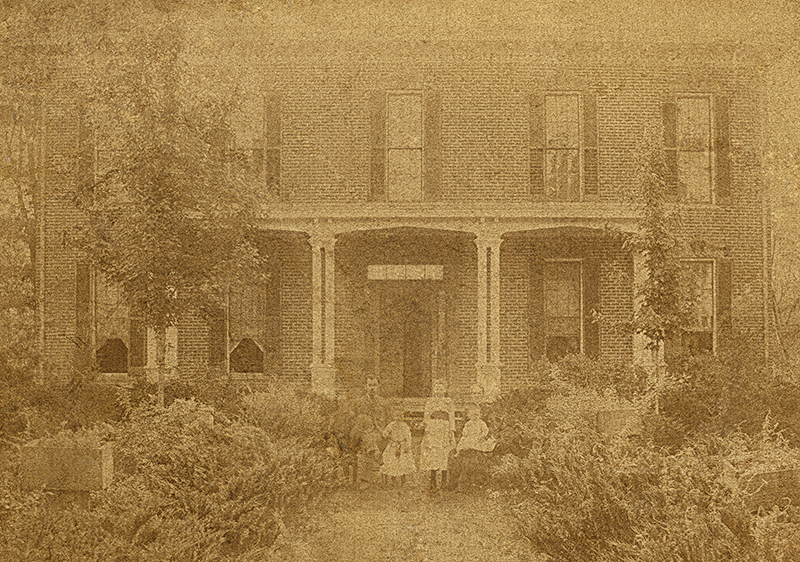 The Mebane-Nuckolls home was a wedding present for the newlyweds, purchased by Maggie's father Nathan Blain. Over the next 19 years, Maggie gave birth to eight children. Two these died in early childhood, two others died early in their adult lives. Consequently only four of these children lived to middle age and beyond. Charles Edwin Nuckolls was a teacher and principal throughout Fayette County. Of course, with an 886 acre estate, he was also a landowner and farmer. For the first 20 years, their lives would appear to have been quite idylic and successful. From entries in Shirley's (their eldest daughter) diary, it would appear that they enjoyed an active social life and both hosted and attended many parties. My grandfather told me, that as a boy, he trapped mink in nearby bottoms to sell in Memphis. He also told me that the twenty-five mile trip to sell goods in Memphis was a two day affair. They would load up the wagon and travel all day to the edge of Memphis and would camp just outside of town. In the morning, they would go into town to transact their business, and then head back, usually arriving after dark. After the turn of the century, however, it would appear that they experienced a series of financial difficulties. In 1909, Charles Edwin was shot and killed in Macon, TN. Unfortunately, he had buried the payment for the previous year's cotton crop and the family never found it. With a father and a year's income lost, times got a little harder. From this time until her death, Maggie lived mostly at the Mebane/Nuckolls home, but sometimes spent her winters in a smaller home in Collierville, TN. She died in Memphis on May 10th, 1929. The home and land was divided into lots, with the home site having a smaller lot than the others. These lots were drawn from a hat. My grandfather (Julius W. Nuckolls, Sr.) drew the lot with the home. None of Charles and Maggie's children lived in the home after her death. My grandfather had a job with the Southern Coal Company, so did not lose his job during the depression, but he did tell me one time, that some relatives did live at the Nuckolls-Mebane home while they got back on their feet. During his adult life, Julius rented the land to tenant farmers and usually let a trusted black family live in the back half of the main house (rent free, I'm told) to keep an eye on the place. The front part of the home consisting of a two-story entry with a winding staircase and four 20X20X14 foot rooms, was used for parties and for granddaddy's base of operations when he worked at the farm. Upon his retirement in 1954 granddaddy became active in game conservation issues and used the farm, in large part, for planting unharvested crops of beans to encourage a large quail population. He frequently patrolled the land on his tractor, with a shotgun across his lap and in a letter to a local game warden, he described the effort of keeping poachers off the property as a full time job. He was also an avid quail hunter and trainer of bird dogs. For a time, he permitted the land to be used by individuals preparing for the National Bird Dog Field trials that are held annually at Ames Plantation, but abuses of this privilege caused him to cancel his permission. During the fifties and sixties, my family used the house and land for parties and gatherings of church groups. My Boy Scout troop also frequently camped on the land. By 1984, the house was in a bit of trouble, and my family was not in a position to invest the time, energy and money required to restore it. Subsequently, my father, J.W. Nuckolls, Jr. sold it to the Perkins who wanted to restore it. My father still owns approximately 150 acres of land surrounding the home and we have established a family area there for picnics and parties. The home is in beautiful shape, due to the Perkins efforts and is now used as a private residence." Charles E. Nuckolls was shot and killed in 1909. He apparently got into an argument with a tenant farmer, and they ended up in a fistfight. The next day, it escalated and he was killed. I have heard two stories about the shooting. Some maintain he was shot on the front porch when he went out in the morning to pee, but others say it was on Nuckolls Road, at the first gentle curve southwest of the house. There was an inquiry, but the case was never prosecuted. Mr. Nuckolls was supposedly disliked by some for his progressive ideas. He believed that black people should be educated. Mr. Nuckolls was a teacher, and set up a one-room school on the property. Local children, white and black, were allowed to attend. A few years after we bought the place, a car drove up. There were three African-American women who got out. Two were probably in their seventies, and the other lady said that she was a few months shy of her 100th birthday. She lived in Chicago. The others were her neices from Memphis. The older lady said that she wanted to visit her birthplace one more time before she passed. She confirmed the story that Mr. Nuckolls had schooled her and the other black children along with the whites, and she would always love and respect him for that. Photo from the field looking eastward showing the cotton gin, blacksmith shop, and house in the 1890s. The child on the right side is said to be Julius. The Nuckolls family, 1893. From left, ages approximate: Charlie, 8yrs; Charles E., 42; Clara, 6; Shirley, 11; Julius, 3; Maggie, 34. 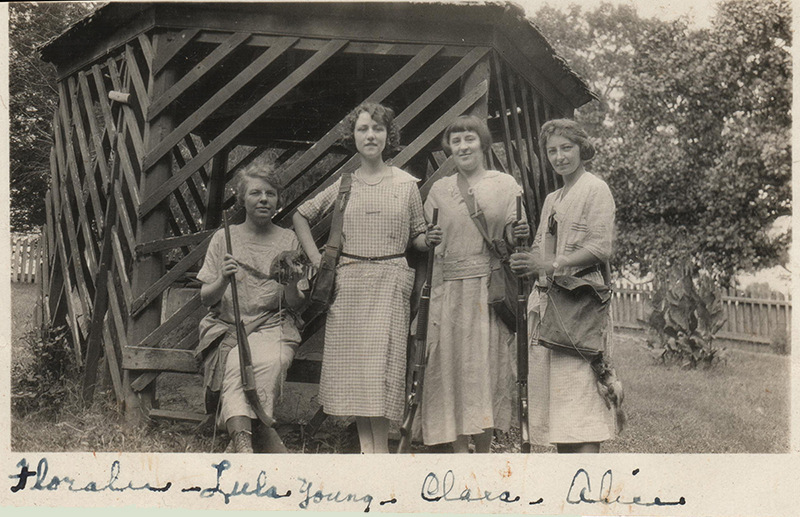 Nuckolls ladies with their guns and squirrels out by the cistern in the early 1920s. Click here to read another account of the Nuckolls family history written in 1955 by Julius Winfred Nuckolls, Sr. The Nuckolls family owned this house for over 100 years. They have good reason to call it "The Nuckolls Place." Here is a website maintained by Andy Nuckolls that covers their genealogy. Mr. and Mrs. Perkins bought the house and 15 acres from the Nuckolls family in 1984. Their role in the history of the Mebane-Nuckolls House cannot be underestimated. They saved the place from ruin. Vines and trees were growing in the house. Water was coming through. The entire floor of the front entry had fallen to the ground. The basement was three feet deep in water. Large areas of plaster were missing. So Mr. Perkins renovated the whole place. 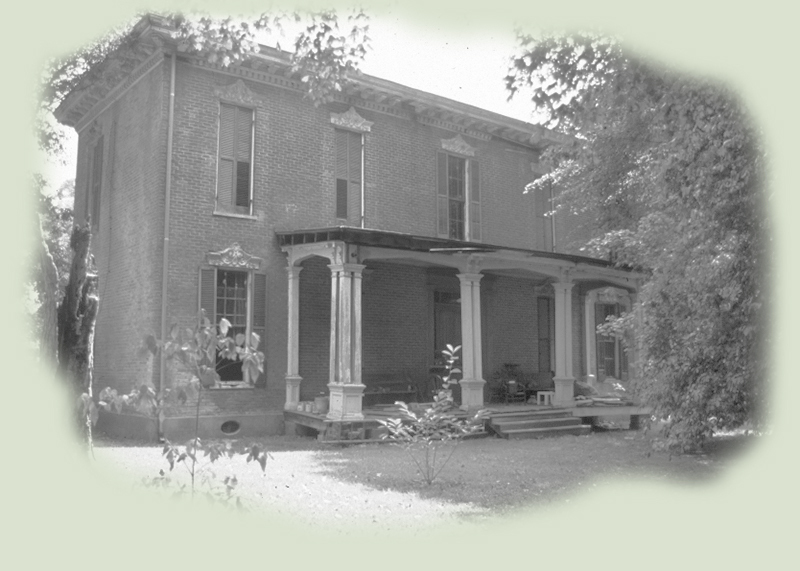 He (temporarily) sealed the leaks, covered all exterior woodwork with vinyl and aluminum siding, brought electricity and plumbing in for the first time, removed every square inch of plaster, came up with his own interpretation of how the interior should look with coffered, darkly stained ceilings and bare brick walls, and joined the cookhouse with the main building. It was a massive undertaking. Although we have a different vision and are trying to restore the home as originally built wherever possible, there is no doubt that this house would have ended up a ruin without the Perkins' stewardship. They also got it listed on the National Register of Historic Places. Jim Ann Perkins made contacts with the Mebane family through Bill McKelvy, a descendant of John Howe Mebane's first cousin Lemuel, and Ray Rosser, a Fayette County historian. Our favorite contributions of Mr. and Mrs. Perkins are outside the house. They must have put in countless hours on the grounds, planting and maintaining many dozens of azaleas, boxwoods and other shrubs, trees, and bulbs. Having become the yard crew, Bonnie and I are in awe of the Perkins' work there. Willie and Jim Ann Perkins ran a bed-and-breakfast inn here. They also rented the place out for weddings, hosted dinner parties, and it was open daily to tours. Mr. Perkins told me it just got to be too much as they aged, and he wanted a simpler and quieter lifestyle. After selling the place to us, they moved to family property and built a modern house in Huron, TN. Willie W. Perkins passed away on 27 February 2013 at age 83. Over the years since we bought the property in 1999, we have been visited by a number of descendents of the various families. As might be expected, they separately refer to our home as the Hare Place, Mebane Place, and Nuckolls Place. The Nuckolls family deserve particular credit since they maintained the property for over a hundred years. Willie and Jim Ann Perkins owned the place for fifteen years before selling it to us. We have undertaken extensive restoration and preservation. I suppose there is plenty of sweat equity to go around. The Warner projects and follies are covered in the rest of this website.